VoIP or Voice over Internet Protocol is methodology in which the Internet users transmit their voice data over the Internet Protocol (IP) or in simple words the Internet. Different terms have been developed for the VoIP like Internet telephony; Internet phone, IP telephony and IP phone are the few. This is the latest technology in which fax, text, SMS and voice is transmitted over the Internet after it is converted in to IP data packets. VoIP uses the Internet as the source of transmission of the voice messages rather than the Public Switched Telephone Network or PSTN. The basic steps involve for the process are signaling and media channel setup, digitization of the analog voice signal, encoding, packetization, and transmission as Internet Protocol (IP) packets over a packet-switched network. On the receiver side these same steps are used but in the reverse order. VoIP systems employ session control protocols to control the set-up and tear-down of calls as well as audio codecs which encode speech allowing transmission over an IP network as digital audio via an audio stream. VoIP is considered as unsafe because the protocol used can be easily broken down. 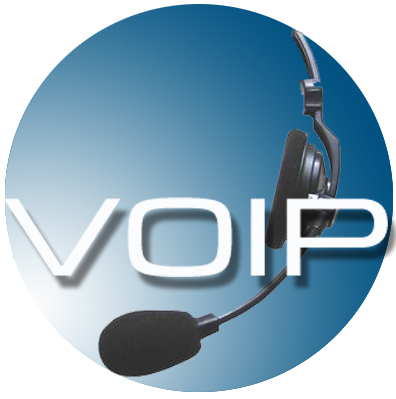 So to enhance the security of the VoIP channel VPN technique is integrated with the VoIP network. Users can connect and send and receive calls using a VoIP channel without any concern of a security lapse using the VPN connection. VPN allows encrypts the data sent over the channel using the 128-bit AES technique which is still unbreakable and as voice is transmitted as data packets so they can also be encrypted through the AES technique and transmitted. In this way whatever you speak is safe and secure. There are many VPN service providers providing services for VoIP VPN but if you want that your voice is encrypted and safe then we suggest that you should go for any one of the 5 listed service providers given below. They assure that yours every type of communication remains safe and secure.